Here's a recap of what I read in February! Basically it was a good month for YA Fiction, love stories and one of the most wonderful WWII novels that I've read. 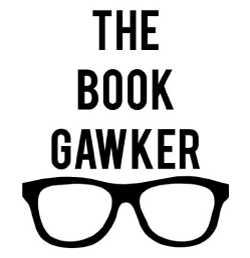 Read on for full reviews of this past month's books! Vianne and Isabelle are as different as sisters can be. Vianne, the older of the two, is rock steady and devoted to her daughter and husband. Isabelle is a rebel child, running away from boarding schools and convents and generally doing as she pleases. When WWII breaks out and Isabelle is sent away to live with her sister in the French Countryside the sisters clash with each other. One determined to keep the peace and a low profile while the other is rebellious and impulsive. The decisions they make will change their lives and the lives of others forever. This WWII tale of two sisters, Vianne and Isabelle, is by far one of my favorite books that I’ve read. I tend to gravitate towards historical fiction and the subject of WWII has so much to offer in the way of interesting reading – it’s one of my favorite subjects. 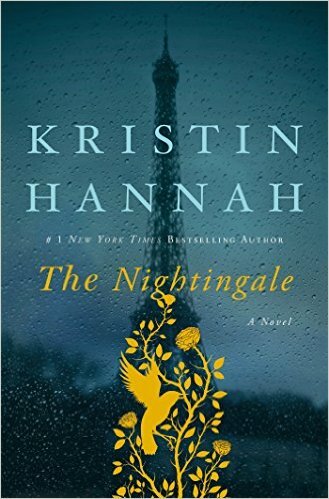 The Nightingale was captivating from the beginning and kept me enthralled throughout as I followed Isabelle into the heart of the French Resistance and Vianne doing her best to survive with her children in a home occupied by German Military officials. Each woman’s wartime experiences and the bond between them resonated deep within me and I’m still thinking about them today – you know a book is good when it sticks with you like that! I was a little late getting to this one – it was popular last summer (for good reason). If you haven’t read this yet, I would highly recommend adding it to your reading list. Travis Parker is a laid back, small town man who enjoys spending time with his friends and working in his veterinary practice. 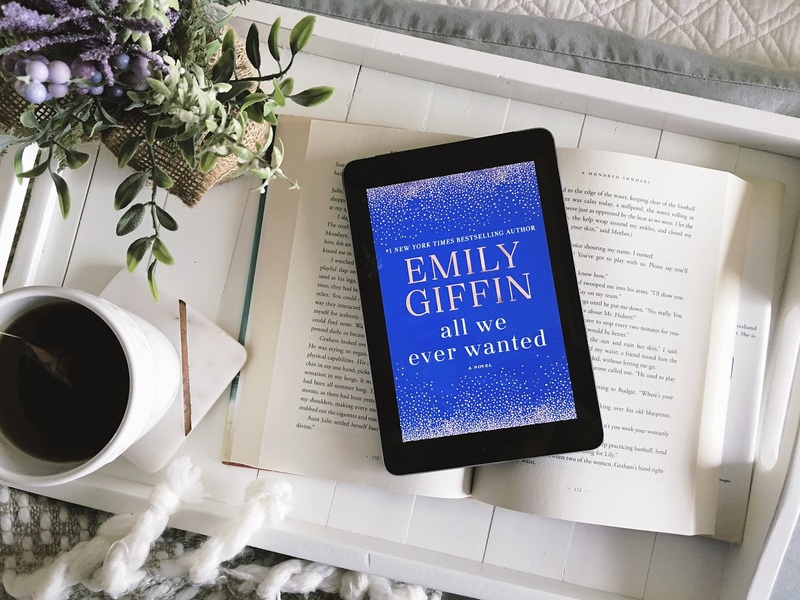 His life is exactly as he wants it and he’s happy living on his own – until Gabby Holland moves in to the house next door and everything changes. I read The Choice as I was interested in seeing the movie version that was recently released. I like to read Sparks’ novels prior to seeing the movies to determine if I should just watch them at home or waste my money seeing them in the theatre – I’d rather ugly cry in the privacy of my own home thankyouverymuch. The book was alright – a very typical Sparks novel. The main characters fall in love over the course of a weekend which makes up the first half of the book. In the second half we jump forward ten years to a life in which Gabby and Travis are happily married with children, but a tragic accident leaves Travis devastated and with a life changing decision to make. 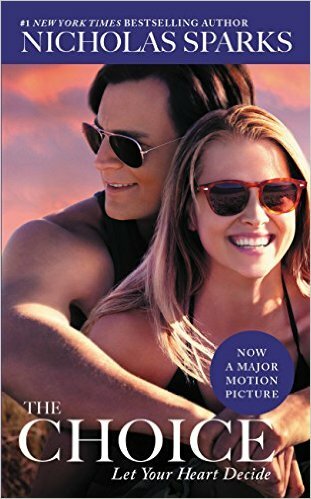 You may or may not ugly cry with this one but if you like Nicholas Sparks’ books, you’ll probably enjoy this. 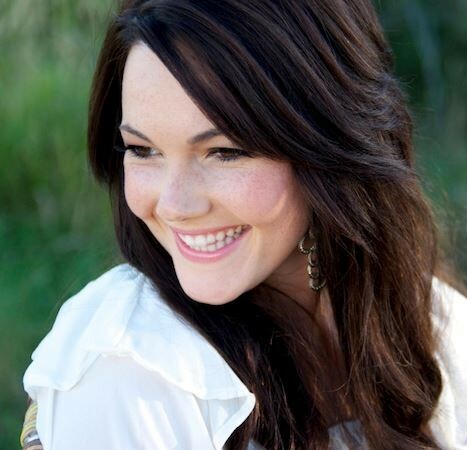 Kahlen is a siren who has served the Ocean for eighty years. She and her sisters are responsible for luring unsuspecting passengers from their boats to their watery graves below. Kahlen, once a young woman who was saved by the Ocean to become a Siren, struggles with the deaths she’s caused and longs for real relationships and above all to be loved. 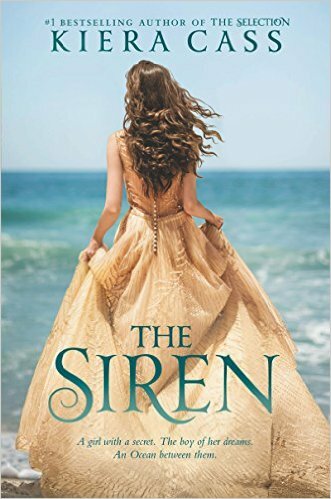 Cass attempts a new spin on a centuries old myth in her standalone novel, The Siren. This young adult novel about a siren who falls in love with a human was entertaining although it lacked substance. I did enjoy the concept (it’s reminiscent of The Little Mermaid), but I wish it would have been developed a little better. Same with the characters in the story, I found them to be weak and underdeveloped, especially the protagonist Kahlen. Overall, I think that the novel suits its intended young adult audience and your teenage niece/cousin/sister/daughter would probably enjoy it. 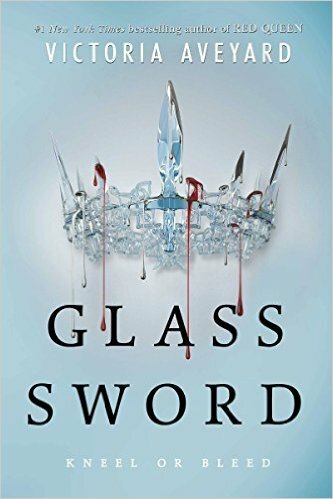 Glass Sword is the second installment in the Red Queen series (read my review of Red Queen, here) and like the first novel it left me wanting the next book right meow, I mean now. I want it now! Glass Sword begins where Red Queen left off with Cal and Mare just having escaped Maven’s kill order only to find themselves among the members of the Scarlet Guard, who may or may not be trusted. Mare, with her red blood and silver ability, is determined to find other “newbloods” like herself to help fight against King Maven. But is the cost of life in saving these people worth the cost of killing innocent silver blooded citizens? Mare struggles with the choices she makes and ultimately the need to reconcile between what’s truly right and wrong. How far does Patriotism go before it becomes terrorism? This is the underlying theme throughout the novel. The first few chapters are rough, it’s as if Aveyard couldn’t quite find her groove early on in the book and I found myself frustrated and losing interest (hoping that this doesn’t turn into a James Dashner Scorch Trials debacle/disappointment). But once the narrative found its way, the story took off and I couldn’t put it down. If you enjoyed the first book or its dystopian contemporaries (Looking at you, Divergent/Hunger Games people), I think you’ll enjoy this one. Happy Reading! As always, I love recommendations!